Being a fan of presidential libraries, I decided to visit the Woodrow Wilson Library and Museum in Staunton, Va. Modern presidents spend millions on their library/museum complexes with multimedia presentations. Older presidential libraries such as Wilson’s are done on a shoestring but still prove extremely interesting. Our 28th president’s complex includes the house where he was born, a museum that tells of his life and times, a small library and book store. Most displays were built around pictures and commentary artfully arranged. Wilson was born in 1856 in the Presbyterian Manse, but his father, the minister, took another position while Wilson was very young. The home has been renovated and contains items from the family and other donated items from the pre-Civil War period. The family was very musical, and their piano and a guitar were on prominent display. In the museum, we learned Wilson was dyslexic and didn’t learn to read until he was 11. Despite this handicap, he wrote books, earned a doctorate and became president of Princeton. He became governor of New Jersey and went on to win the presidency against two former presidents, William Howard Taft and Theodore Roosevelt. He often took rigid stances on issues and did not compromise well. Wilson’s first wife, Ellen Axson, with whom he had three daughters, gave up a career as an artist to become a full-time mother. He was devastated when she died early in his presidency. He later married Edith Galt, a powerhouse of a woman who helped run the White House. When he had a series of strokes that left him unable to run the government, she covered for him and made many of the presidential decisions. At first he kept us out of World War I but eventually was pressured into getting us involved. Later, he pushed for the League of Nations, but the Republicans, led by Henry Cabot Lodge, stopped our involvement. For his efforts to form the League of Nations, he was awarded the Nobel Peace Prize in 1919. I knew he had supported women’s right to vote, but two new facts I learned were that he had vetoed the act that created Prohibition, but Congress overrode his veto. The second fact was a surprise to me. He was a white supremacist and established official segregation in government offices. 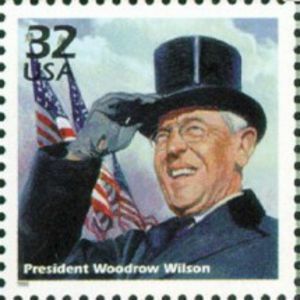 Wilson and his Cabinet members fired many black Republican-appointed officeholders. An advocate for funding public highways, he very much enjoyed riding with the top down in his presidential 1919 Pierce Arrow limousine. When he left office, a friend bought it for him. 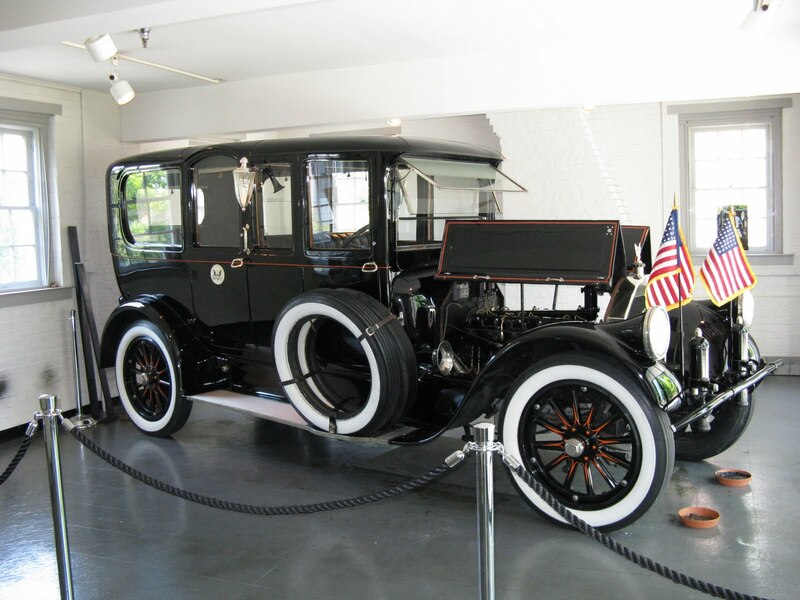 After his death in 1924, the car was unattended for years but recently has been rebuilt and is on display. 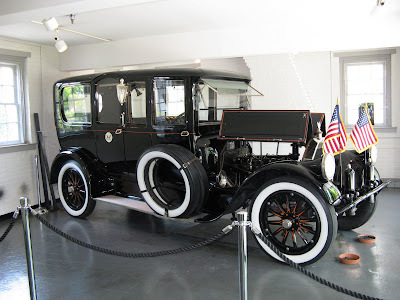 President Woodrow Wilson’s 1919 Pierce Arrow limousine was given to him after his presidency.